How Do You Solve a Word Problem Using a Percent Proportion? Word problems allow you to see the real world uses of math! 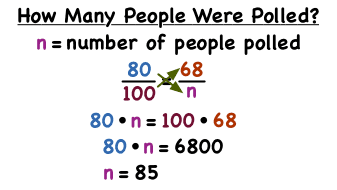 This tutorial shows you how to take a words problem and turn it into a percent proportion. Then see how to solve for the answer using the mean extremes property of proportions. Take a look!